The most important and challenging responsibility of an orthodontic patient is to keep their teeth and gums healthy. As a result, we have partnered with Crest and Oral-B to offer a comprehensive oral hygiene education and grading system. In coordination with your dentist’s office, we will use grade sheets to consistently monitor and inform you on y our oral hygiene progress. At your regular dental cleaning visits, the hygienist will score your progress using our grading sheets, mail them to our office, and we will keep them on record for review atyour next visit. By comparing our grades, we will be able to provide you with a team approach to monitoring your oral health. The Oral-B Toothbrush is an integral aspect of the program. This systematic approach allows us to give our patients every tool at our disposal to help them keep their teeth and gum tissues healthy. Without clean teeth, we cannot produce a beautiful smile. At Suri Orthodontics, we know that good oral hygiene is critical to the success of every orthodontic patient and can be one of the most challenging aspects of orthodontic care. That’s why we have partnered with Crest and Oral-B to offer a comprehensive oral hygiene education and grading system through our Ortho Essentials program. Ortho Essentials is a three-step oral hygiene program designed to boost oral health and hygiene practices in orthodontic patients. The day our patients get their braces on, our team will go over the importance of what foods to avoid, proper handling of emergencies, and proper oral hygiene thecniques. The Ortho Essentials kit inclues the Oral-B Triumph power toothbrush. The Oral-B brush head is designed for cleaning around braces. The Power Tip is designed to clean hard-to-reach areas between teeth and around wires and it is gentle on teeth, gums and brackets. 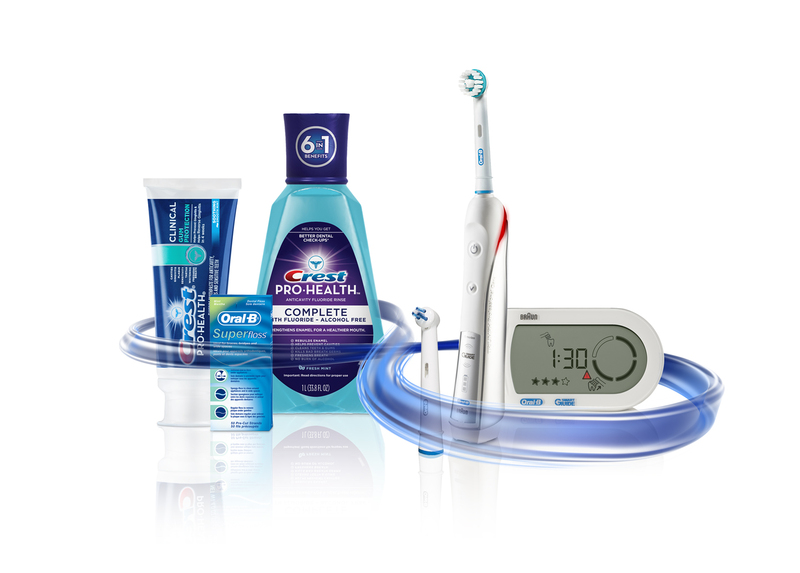 The kit also includes a SmartGuide wireless display to provide feedback on brushing time and technique as well as the Crest Pro-Health Toothpaste adn Rinse to help reduce plaque and gingivitis. The Ortho Essentials kit comes with an easy to follow 5-level rating system ranging from poor to excellent that illustrates each rating level so our office team and patients have a standard to compare oral hygiene. At each office visit, our team will rate our patients brushing by using the 5-leval rating system and fill out a report card for the patient to bring home. We will also discuss the rating the patient received at each of their appointments.